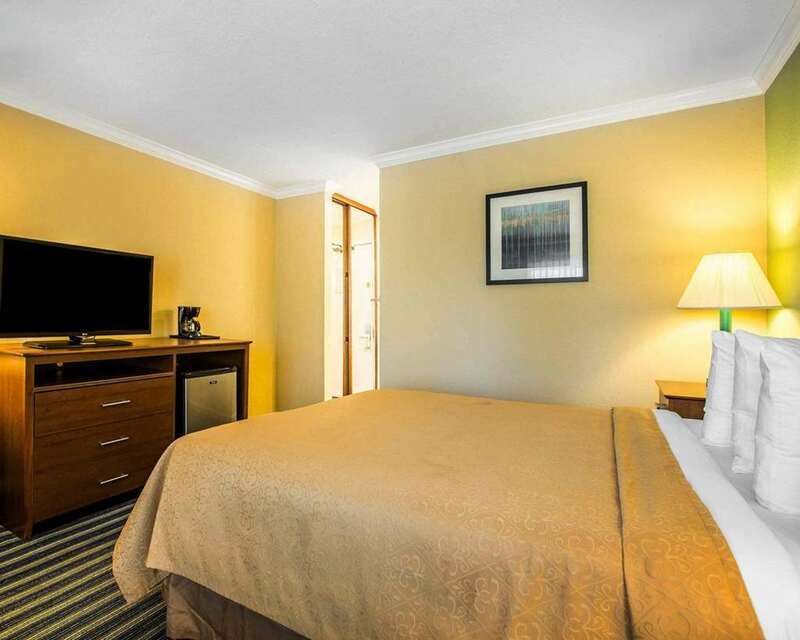 The Quality Inn hotel in Santa Barbara, CA, near University of California, Santa Barbara and Santa Barbara Harbor, gives you real value with peace of mind. Our quality hotel is located within minutes of Mission Santa Barbara, Historic State Street, Santa Barbara Harbor and Santa Barbara Municipal Airport. Our valued guests enjoy amenities that include free continental breakfast, free WiFi, free coffee, free weekday newspaper, an outdoor heated pool and fax services. Each beautiful guest room features a hair dryer, coffee maker, desk, refrigerator, iron and ironing board. Also, earn rewards including free nights and gift cards with our Choice Privileges Rewards program.